Good news at last from Putin’s republic: the company that manufactures the Kalashnikov (AK-47) is facing bankruptcy after producing 100 million of this renowned and deadly Russian assault rifle over the past 60 years. Good news from Russia is rare. You get good and amazing scientific and industrial news from countries like South Korea or a township in Finland or from an aerospace company in Brazil. But all you get from Moscow is Putin and Lavrov and a Medvedev interlude. The Kalashnikov was the Number One killer in the Lebanon civil war. Every fighter held one. They all agreed it never jammed or disappointed its carrier or owner. Russian weapons are ineffective except in civil wars. MIGs were overcome in “battle skies” and performed poorly in Aleppo. We don’t hear of Harvard or Stanford in Russia, but of PhDs in Arabic from Patrice Lumumba University. Iraqi-born Dame Zaha Hadid is deemed the “greatest woman architect in history.” Why? Chiefly because she didn’t attend a Soviet university. 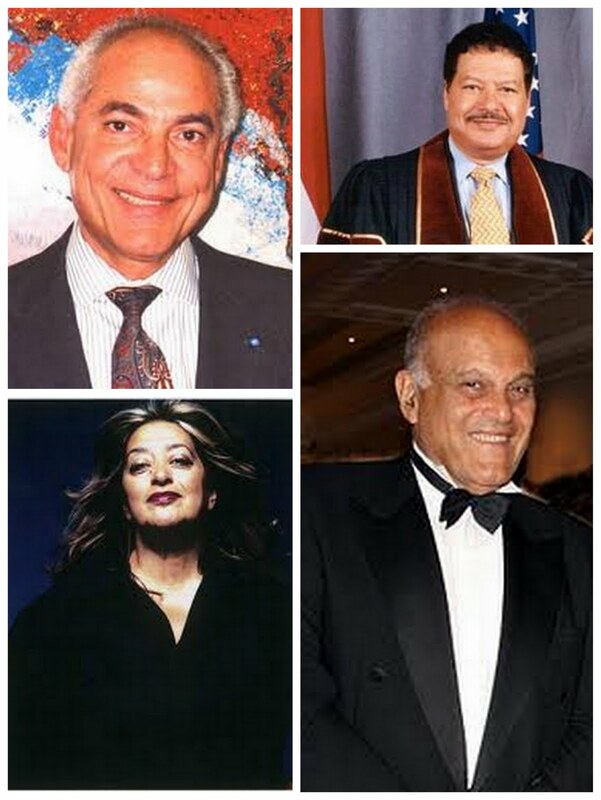 Nor did Ahmed Zewail, or Sir Magdi Yacoub, or Farouk el-Baz. The Soviets created the best assault rifle but failed to build a car that didn’t break down at the first crossroads. They produced fighter jets but didn’t manufacture a commercial plane that could match one built in a small factory on the outskirts of Montreal. What’s not ill intended is not well produced in Russia. We haven’t heard – a shortcoming on our part, naturally – of a medical or pharmaceutical breakthrough in Moscow. We don’t hear of a Russian film collecting a movie award. All things great in arts and literature came before the Soviets. In their wake came Stalin, the Kalashnikov and the Sergei Lavrov statements. That’s why it’s good to hear the company producing weapons in Izhevsk is facing bankruptcy and might choose to focus on producing hunting rifles. Bravo. Focus on sports. Just clear Aleppo’s skies from your detestable warplanes. The only (Russian) competition with the Americans is on alienating people and causing mothers to suffer. The only pre-eminence is the Kalashnikov. Moscow is not exporting iPads, iPhones or an Aspirin pill. It is not exporting intellectual issues open for debate or a scientific theory or a medical breakthrough. It simply exports unique political theories on the exchange or rotation of presidential office so long as Lavrov remains chief diplomat. News of the weapons company being declared insolvent is good. But look forward to the more important news of Lavrov’s diplomacy going belly-up. --The Syrian Consul in the Malaysian capital Kuala Lumpur and the diplomatic attaché have defected to the Syrian opposition. --Canada has closed its embassy in Tehran and ordered the expulsion of Iranian diplomats from Ottawa, citing Iran's support for Assad, nuclear program and human rights abuses. --Syria troubleshooter Lakhdar Brahimi has named a Moroccan-born Canadian, Mokhtar Lamani, as head of his mission's Damascus office. Lamani previously represented the Organization of Islamic Cooperation at the UN and the Arab League in Iraq. --U.S. senators John McCain, Joe Lieberman and Lindsay Graham have again urged the Obama Administration to help arm Syria's rebels and create a safe zone inside the country. --British Foreign Secretary William Hague says EU countries can only provide non-lethal aid to Syrian insurgents because of the group’s arms embargo that renders the supply of any weapons illegal. --Britain and The Netherlands have urged their EU partners to join the U.S. in imposing sanctions on Lebanese Hezbollah for supporting Assad. --Turkish Prime Minister told a conference in Istanbul, “Killing is forbidden, whether you’re Sunnite of Shiite” and what is happening in Syria is reminiscent of the Battle of Karbala in 680 AD. --“We will not discriminate against Alawite or Christian minorities in the new Syria,” the head of Syria’s Muslim Brotherhood Mohammed Riad Shakfa tells Today’s Zaman in an interview. --After the Turkey asylum boat tragedy left 18 women, 28 children and three infants dead, Rana Kabbani (@RanaKabbani54) tweeted: In addition 2 all his other crimes, Assad has now turned children of Syria into boat people! --Instead of loaning Cairo cash to prop up its economy, Qatar decided to invest $18 billion in tourism and industry projects in Egypt over the next five years. Columnist Rajeh Khoury says the move will create thousands of jobs for Egyptians. Instead of giving Egyptians fish, Doha will help them go fishing.